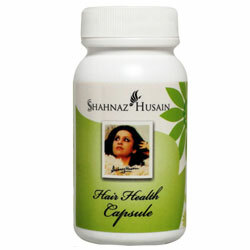 Buy Shahnaz Herbal Hair Health Capsule strengthens roots, help to check hair loss and promote thick, healthy, lustrous hair. Helps to check hair loss and promote thick, healthy, lustrous hair. The formulation has precious herbs and medicinal properties that acts as a tonic, strengthening the roots and improving blood circulation to the hair follicles. It contains organic ingredients, known since ancient times to calm the nerves and induce relaxation. They help to check hair loss and promote thick, healthy, lustrous hair.